Straight from the Devs: STOCKHOLM, SWEDEN - Feb 29, 2018 - Independent developer Fatshark today announced that the Warhammer: Vermintide 2 Pre-Order BETA is available. Everyone who has bought Warhammer: Vermintide 2, the sequel to Warhammer: End Times - Vermintide, will have access to the BETA all the way to the release on March 8. “First of all, we are thankful that so many bought the game early on, and we are happy to involve all owners of Warhammer: Vermintide 2 in the Pre-Order Exclusive BETA” says Martin Wahlund, CEO Fatshark. 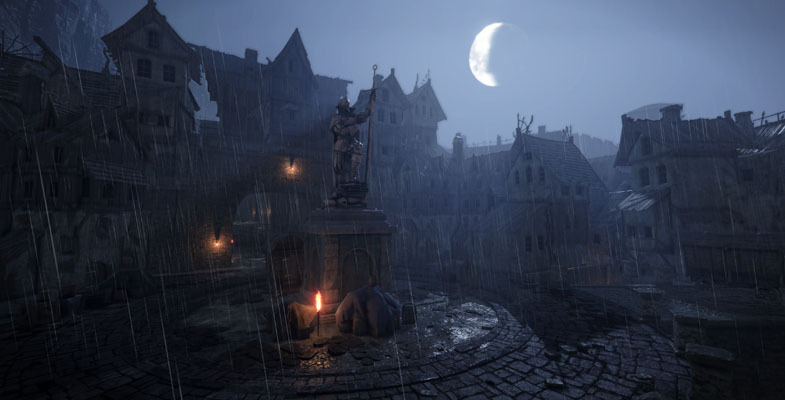 Vermintide 2 is a melee action game of the first person co-op genre. Set in the End Times, the game introduces the dark, bloody and twisted Chaos as an enemy faction. Other new features include 15 hero careers, new environments, talent trees and the proprietary Heroic Deeds System. The 5 heroes have returned to take on an even greater threat during the End Times - the combined forces of the cowardly Skaven army and the barbaric Chaos faction. Prepare to be challenged like never before as you and your team desperately try to survive the never-ending hordes of enemies. Choose between 15 different careers, climb the talent tree, and customize your weapon arsenal to fit your unique play style as you fight your way through 13 stunning levels. The only thing standing between utter defeat and victory is you and your allies - if you fall, so will the Empire. Headquartered in Stockholm, Sweden and established in 2007 independent developer Fatshark is comprised of a team of 70+ experienced games developers, who strive to create compelling interactive experiences. 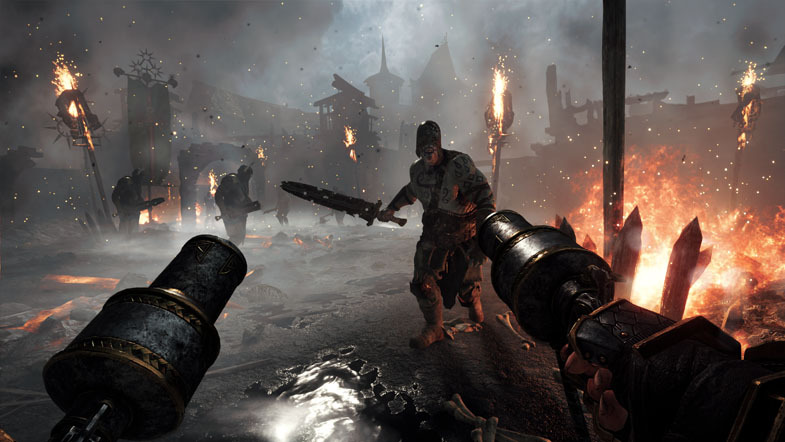 Apart from Warhammer: End Times - Vermintide, the team has previously developed titles including Lead and Gold, Krater and War of the Roses. Games Workshop® Group PLC (LSE:GAW.L), based in Nottingham, UK, produces fantasy miniatures in the world. Games Workshop designs, manufactures, retails, and distributes its range of Warhammer®: Age of Sigmar® and Warhammer® 40,000® games, miniature soldiers, novels and model kits through more than 469 of its own stores (branded Games Workshop® or Warhammer®), the www.games-workshop.com web store and independent retail channels in more than 50 countries worldwide. More information about Games Workshop and its other, related, brands and product ranges (including our publishing division ‘Black Library’ and our special resin miniatures studio ‘Forge World’) can be found at www.games-workshop.com.